Here's a trial version of the new dearJoe 5 casual font. It features all characters, but no special signs. The complete version is available on my website: www.joebob.nl. 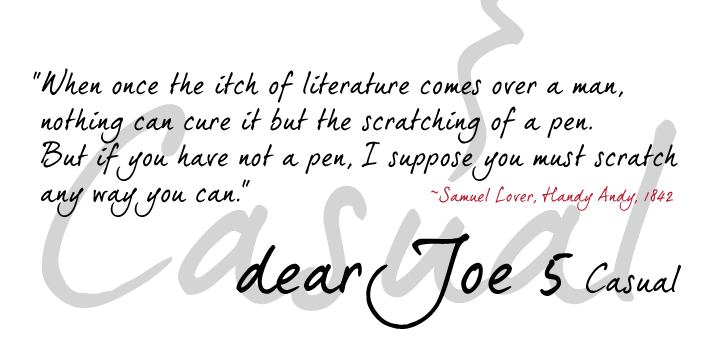 The dearJoe 5 casual font can be mixed with the regular version and it's alternates.